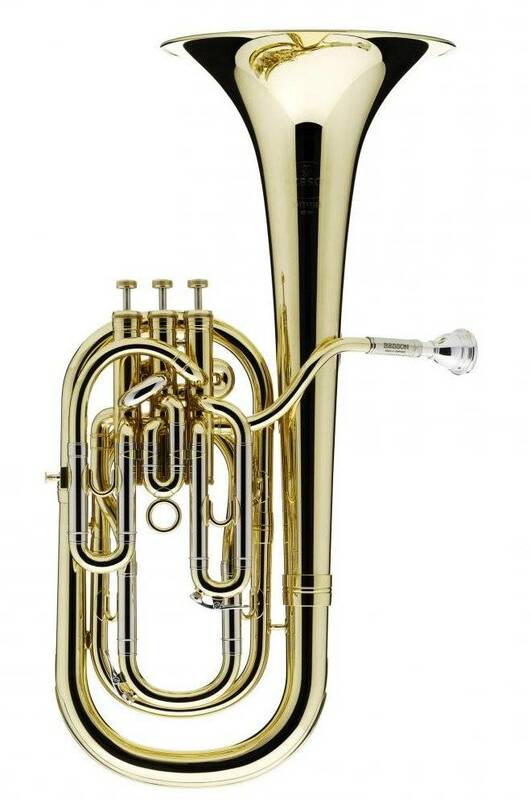 The Besson Sovereign BE955 Baritone Horn has for years been regarded as the leading top of the range baritone in the world of brass bands. Its even response and clarity in a variety of articulations is a notable feature, with the 3 valve compensating system delivering matchless tuning throughout its range. It's been seen the choice of leading baritone virtuosi and top band players. It's the sound conductors want to hear from the right side of a brass band, capable of the most thrilling fortissimos and whispering pianissimos. A compensating horn, the BE955 baritone improves intonation in the lower register. Its 9.5" bell allows for the ultimate in projection and volume. The BE955 baritone has an easy response and valve action, making it a comfortable, free-blowing instrument.